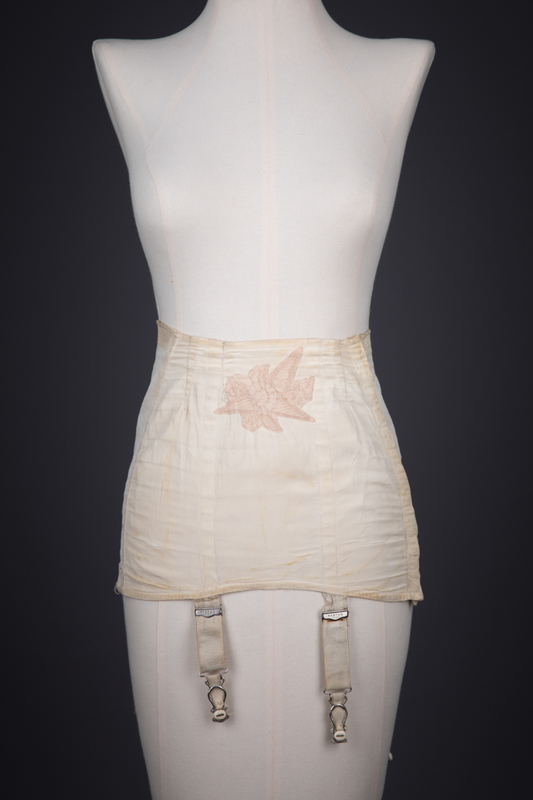 The Kestos lingerie brand was founded in 1925 in London by Rosalind Klin. 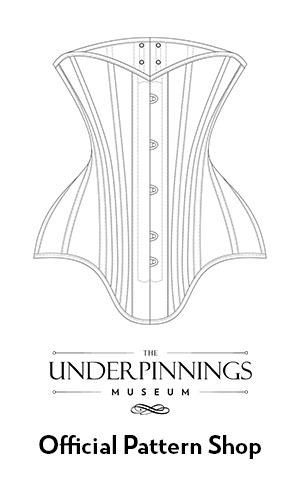 The brand is best known for the ‘Kestos’ style bra (trademarked in the year the brand was founded, and arguably one of the first commercially produced bra with separated cups). 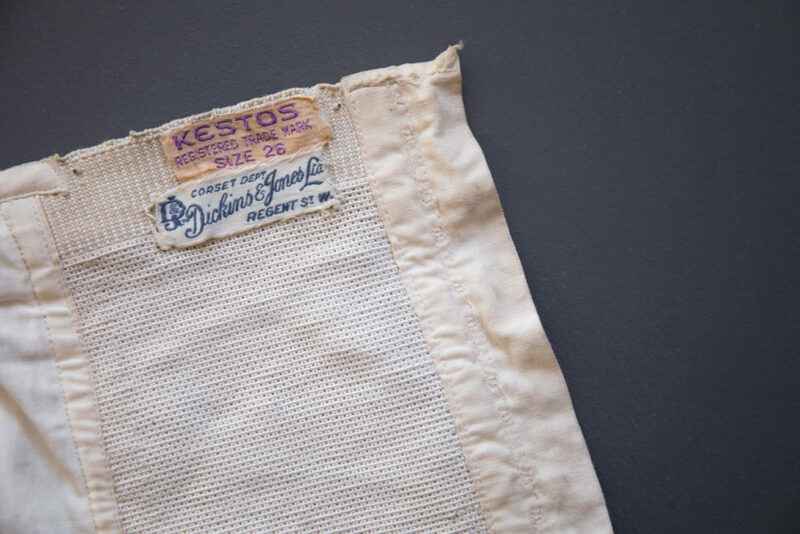 Alongside this iconic bra, the Kestos brand produced a full range of lingerie and even swimwear. 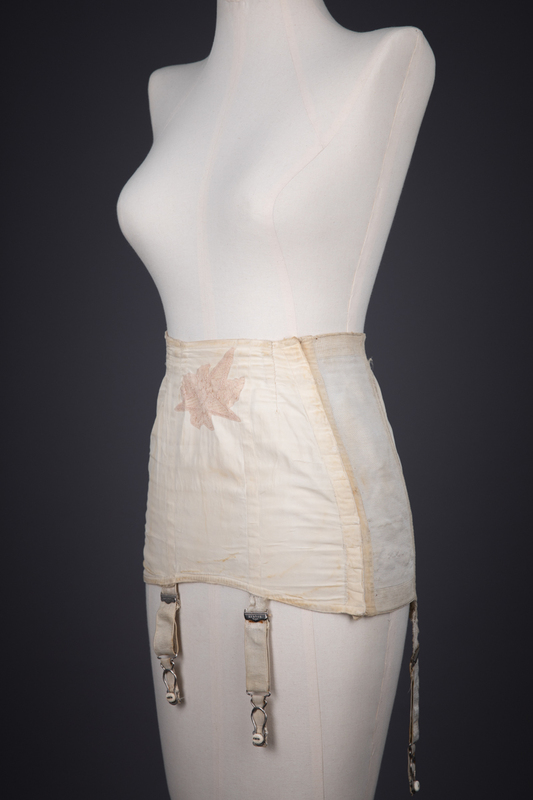 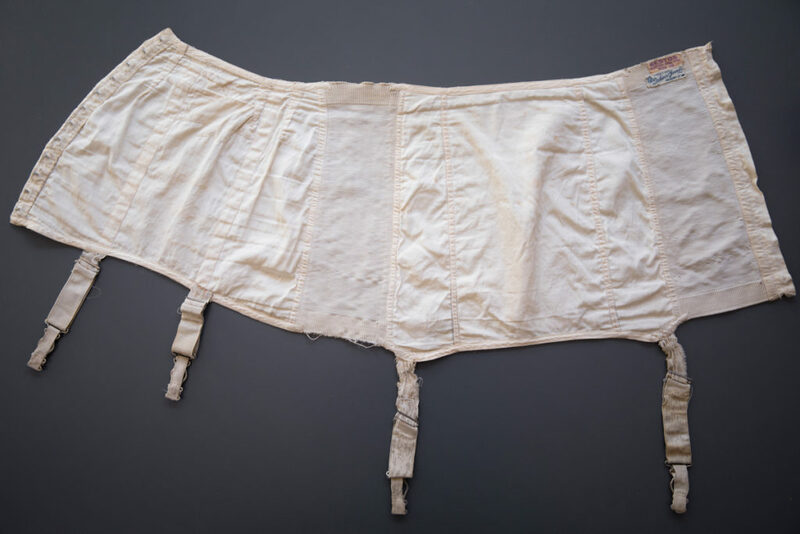 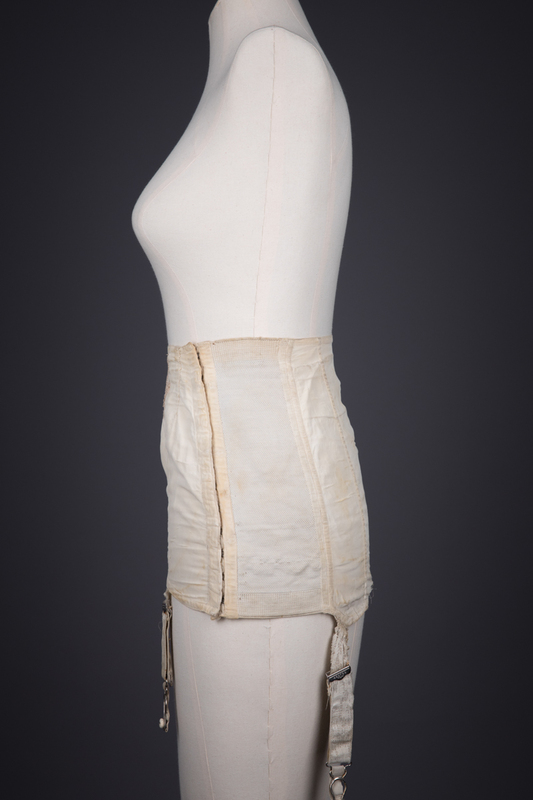 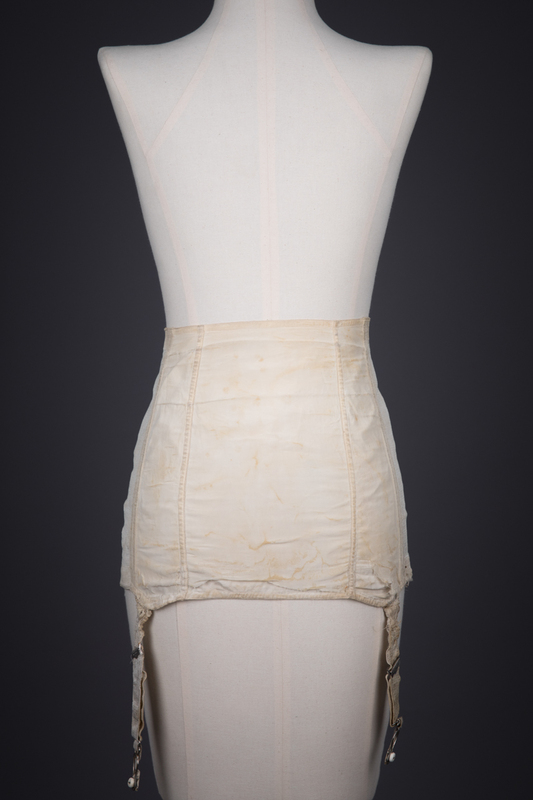 This girdle was produced for the high-end Dickens & Jones department store in Regent Street, London. It is a luxury version of this short cut, lightly structured and elasticated foundation garment, which was touted for allowing flexibility and freedom of movement (a great selling point for the brand, who capitalised on its products suitability for sports and dance; a version of this design can be seen in this advert from 1932). 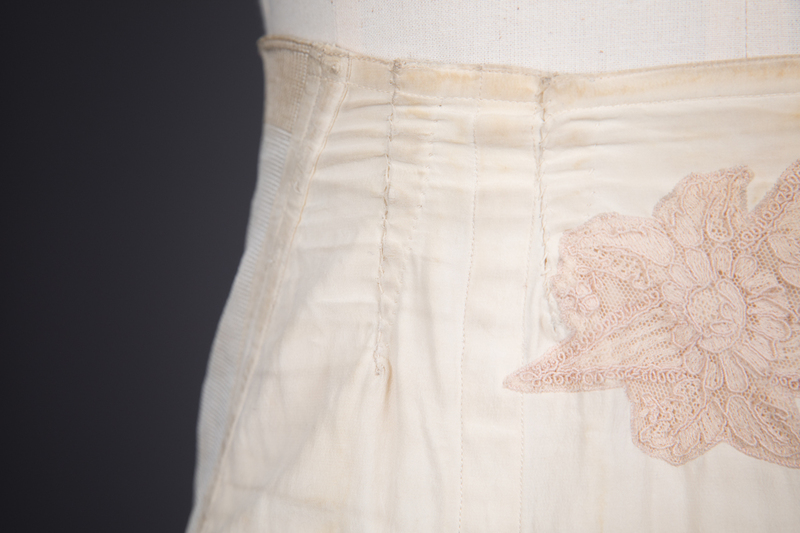 This girdle is made from two layers of silk crepe, with decorative Schiffli embroidered tulle appliqué on the centre panel. 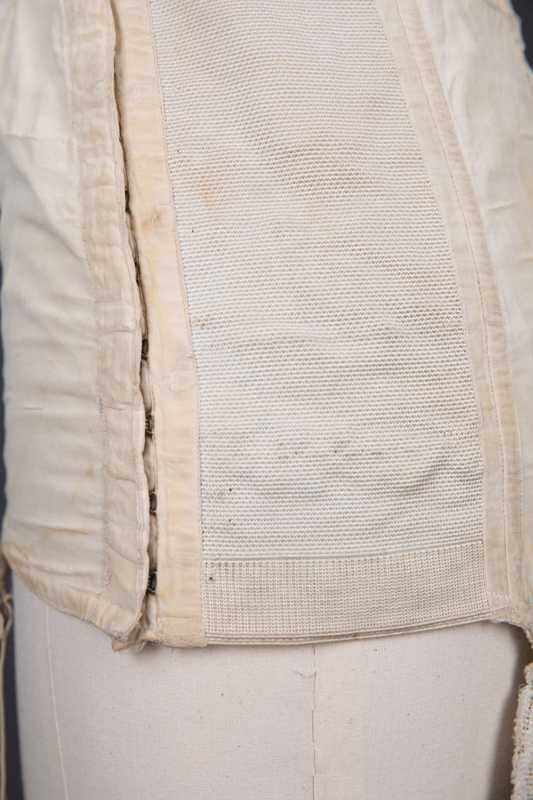 Two heavy elastic panels at the side of the garment offer gentle shaping and some fit flexibility. 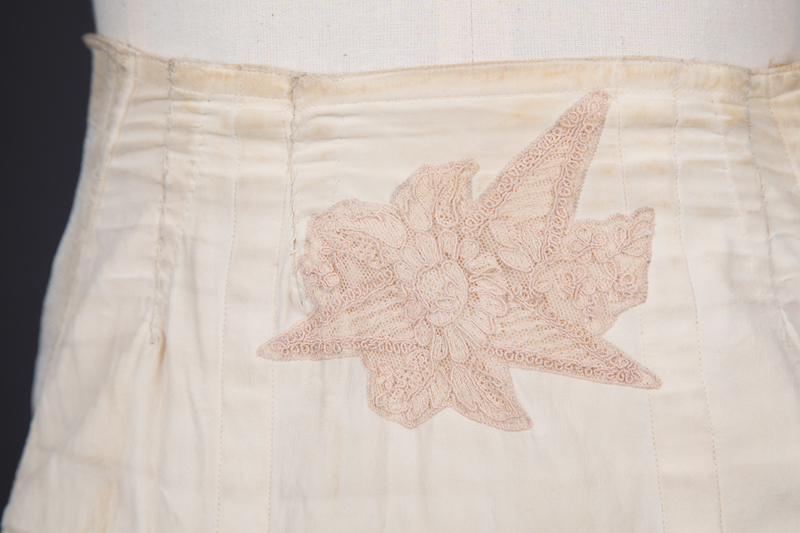 It fastens at the side seam with a row of hooks and eyes. 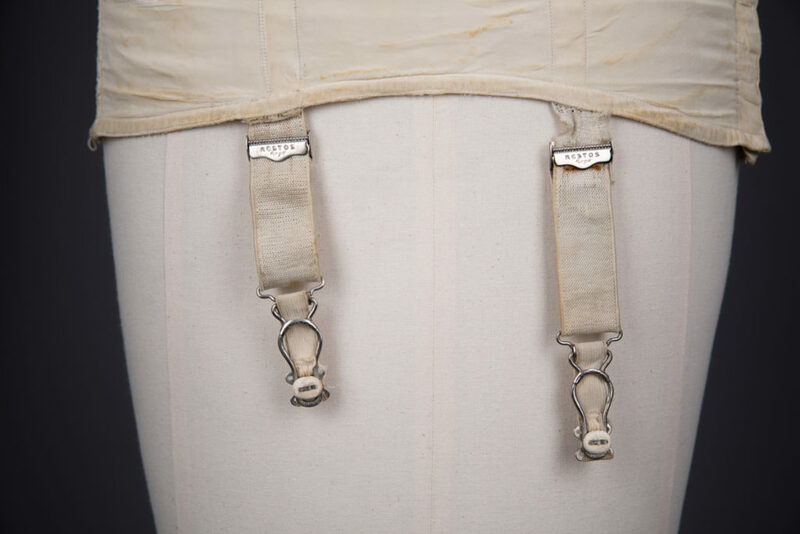 The four suspender straps are elasticated, with the adjusters stamped with the Kestos brand logo. 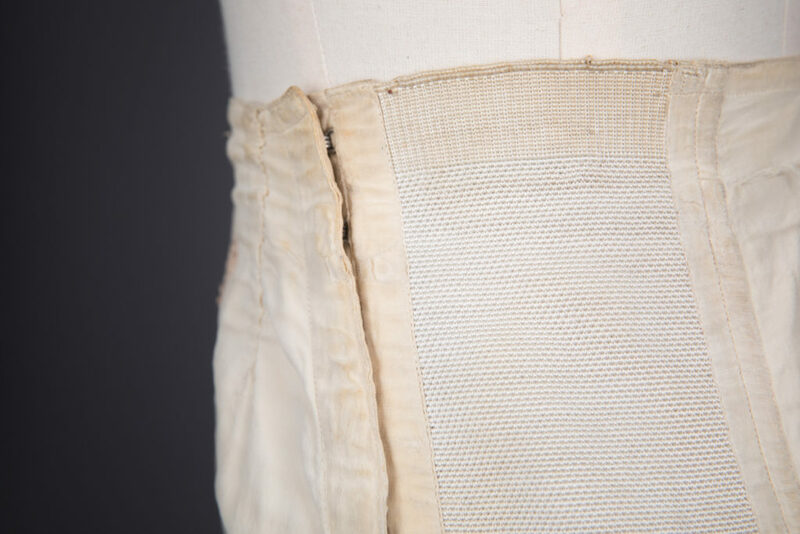 Unfortunately, as silk is a relatively fragile fibre and not necessarily suitable for heavy shaping, the garment has sustained a great deal of wear and tear, much of which has been repeatedly repaired by hand. It is apparent that the garment was well loved and worn for long after the first damage began to appear.